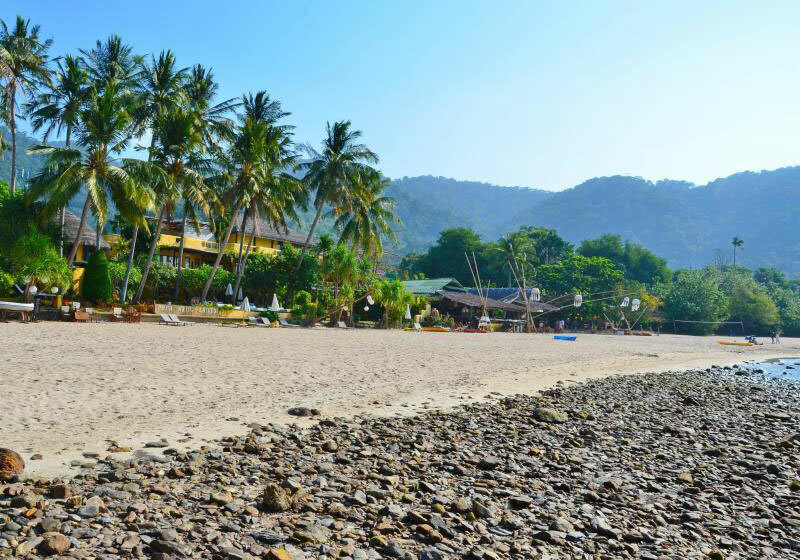 Lanta Marine Park View Resort & Spa have the warm welcome greets you to one of Koh Lanta‘s most attractive resorts with breath taking views over the most secluded beach on the island. Lanta Marine Park is at the southern end of the island, with mountainous views cascading down to turquoise seas and white sands. Lanta Marine Park View Resort offers guestrooms featuring views of the bay or garden. feature a private balcony and bamboo furnishings. They are equipped with a TV, refrigerator and minibar. A tour office and internet café are available. Massage treatments are offered and you can enjoy panoramic views of Kantiang Bay while dining at Bay View Restaurant, which serves both Thai and Western cuisine. Fresh barbecued seafood is served in the evening. Shroom Bar offers a range of beverages from midday until early morning. Short Description: Lanta Marine Park View Resort & Spa have the warm welcome greets you to one of Koh Lanta's most attractive resorts with breath taking views over the most secluded beach on the island. Lanta Marine Park is at the southern end of the island, with mountainous views cascading down to turquoise seas and white sands.